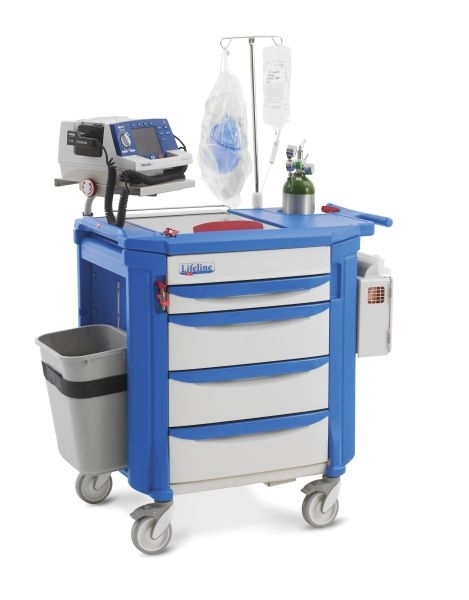 Our Lifeline code carts are used by thousands of hospitals and institutions. Advanced polymer construction, rounded corners and Microban® product protection to maintain a cleaner cart to improve infection control. Defibrillator platform adjusts to accommodate various size defibrillators. Lock controls for top compartments, drawers, and side bins. Two brake casters. Three different code carts available, having different features and options.